Wisdom can take many forms in our lives. Resilience. Self-care. Inner power. Trust. Love. Courage. If wisdom had a face, what would it look like? If wisdom could dance, how would it move? Join Staci Boden and Jane Sanguinetti for an afternoon of creative visioning, inspired painting and joyful dance to connect with wisdom as a powerful resource you can carry into any life circumstance. We'll gather in a circle for personal sharing to explore what wisdom you need and how it might relate to an intention. Next, Jane becomes a guide to discover the face of your wisdom and invoke the canvas as a portal to deepen relationship. No painting experience necessary, at all. After a break, we'll move into 7Directions, an earth-based dance ceremony. Led by founder Staci Boden, after checking-in, we'll call upon sacred elements and voice intentions aloud. From there, surrounded by our collective creativity, we'll be free to shake, shout, shimmy and laugh to dance our wisdom alive. No dance experience necessary, at all. Open to anyone over 18. Staci Boden, MA, is a life guide, ceremonialist, spiritual counselor, teacher, hands-on energy worker and author of Turning Dead Ends into Doorways. With over 15 years of individual and group facilitation, Staci integrates spiritual learning with practical communication for people to develop resilience, strength, humor or whatever they need to feel more balanced inside. A founder of 7Directions in 2002, Staci leads dance ceremony for the public, ongoing women's groups and weekend retreats throughout the Bay Area. As a 'teacher's teacher", she developed the 7Directions Facilitator Training, leading the program with Ruby Monsen until 2018. Individual and couple's sessions with Staci include interactive coaching and energy healing to get past stuck towards more conscious and connected living. Visit Staci at Dancing-Tree Consulting. 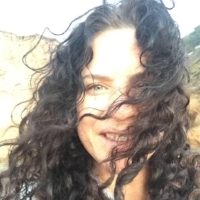 Jane Sanguinetti is the founder and owner of Joy of Being, curating community with yoga classes, sacred events and healing sessions in Moss Beach since 2008. Jane is a Holistic Coach, Intuitive, Massage Therapist, Shamanic Practitioner, Reiki Master and Artist. 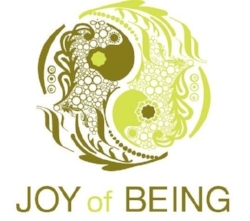 For the past 16 years, she has been devoted to individuals with a clear intention to deeply support them in finding the sacred in life and returning to joy and freedom in Being. Jane is a certified Intentional Creativity Teacher and artist at Cosmic Cowgirls and a 7Directions Dance Ceremony Facilitator.